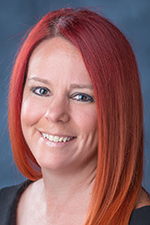 Potestivo & Associates has named Kathleen G. Conger as its new compliance manager in the firm’s Rochester Hills Office. Conger, of Sterling Heights, has more than 20 years of experience in the mortgage lending and servicing industry. Previously, she was assistant vice president-territory manager at Bank of America responsible for managing default process improvements and law firm compliance. Prior to this role, she served as a compliance unit manager for the law firm of Trott & Trott in Farmington Hills. Potestivo & Associates also has offices in Grand Rapids and Chicago.